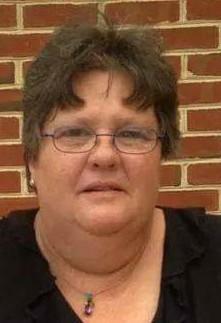 Janet Marie Neff, 54, of Taneytown, Maryland, died peacefully on Sunday, January 27, 2019 at the Carroll Hospital Center. Born on October 21, 1964 in Summersville, W.VA., she was the daughter of the late Jackie O. Neff and Rose Marie (Adams) Neff. She loved spending time with her children and grandchildren and will be deeply missed. Surviving are children Bradley A. Walker and wife Ashley of Taneytown, Jason L. Walker of Manchester, Michael D. Walker and wife Amanda of Fayetteville, PA, and Christopher L. Hanson of Taneytown; grandchildren, Joseph F. Fleming, Abigail E. Walker, and Skilynn O. Walker; brother, Samuel Adams of Westminster. She was predeceased by brothers, Jackie O. Neff, Jr., Everett L. Neff, and William White. A Memorial Service will be held at a later date. Burial will be private. Arrangements have been entrusted to MYERS-DURBORAW FUNERAL HOME in Westminster. Memorial donations may be made to the funeral home to help the family with final expenses.